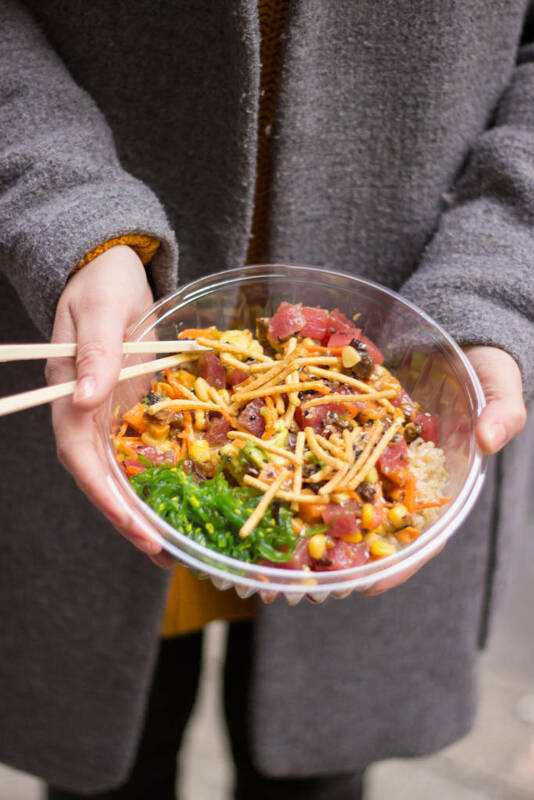 I’ve only been in NYC for a month – having moved over from Ireland at the beginning of November – but I’d already heard my friends here mention “poke bowls”. At first, I was convinced New Yorkers were still riding high on the the Pokemon Go buzz, looking to top up their poke ball inventory. Later I found out that they weren’t on the hunt for Pikachu, but for lunch. 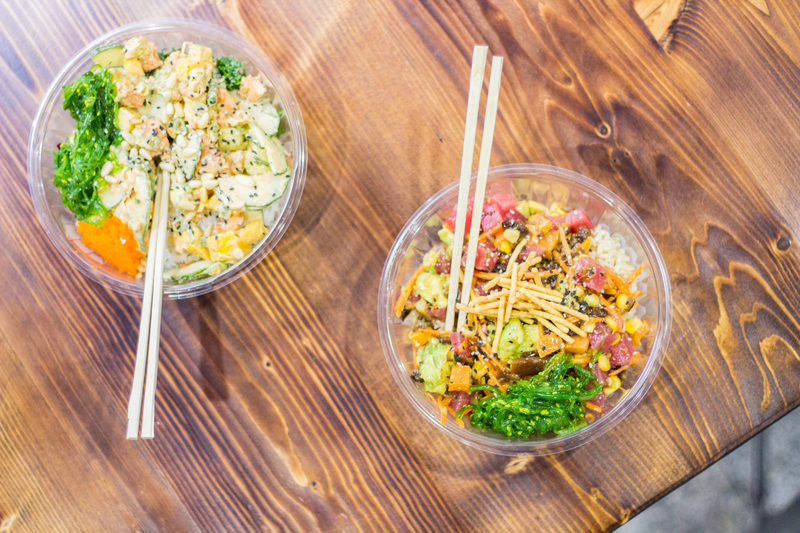 Poke is the Hawaiian dish that is the current obsession of every New York foodie, including my new friends. 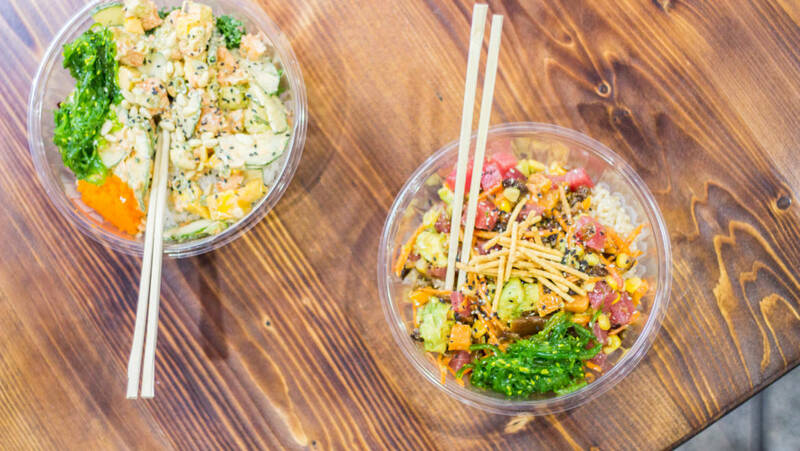 I hit up Instagram to find out more about this food trend – there’s nothing like it back home so I was curious – and was met with one poke bowl after another. 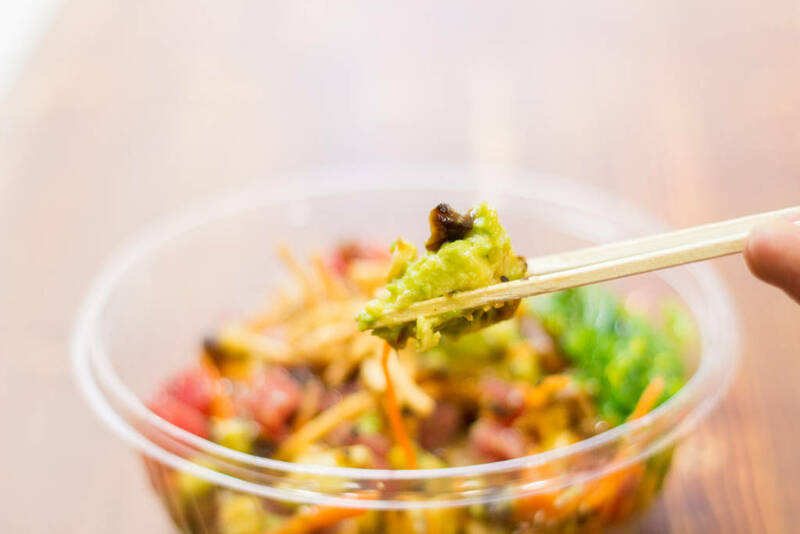 They seemed to be some sort of fusion of Asian and Hawaiian culture, with ingredients you might expect to find in your sushi, all mixed up in a colorful bowl. @Feedyourgirlfriend popped up on my feed, with a mouth-watering meal from a place called Koshe Poke. The bowl was filled to the brim with tuna, chickpeas, carrots, tomatoes and seaweed. It didn’t just look tasty, it looked healthy too. Out of pure luck, I was at the Empire State Building, right next to the featured restaurant! According to Google Maps, Koshe Poke was just a 5-minute walk away! I popped in and saw the ingredients laid out at the counter. At first I felt a little overwhelmed – there are so many choices to make! First you choose your base: it could be a bowl, burrito or salad. Since it was poke bowls that all my friends mentioned, I had to embrace the hype and go for a bowl. I got into the swing of it as I built my poke bowl, choosing tuna as the protein and adding-in sweet potato, corn, carrot, chickpeas and avocado with sweet chilli sauce and topped off with dry noodles. Yum. As much as I enjoy healthy food, I’m not the kind of person who would be content with a salad for lunch, so I was unsure of what to expect. Could all these healthy ingredients mix together to create something delicious? With one bite, I had my answer. It was delicious. The vegetables and tuna complimented each other perfectly, and with the rice it became a substantial meal, rather than just a salad. Now I’m fully on board with the hype. In fact, I’m counting down the hours to lunch time when I get to try out another combination.